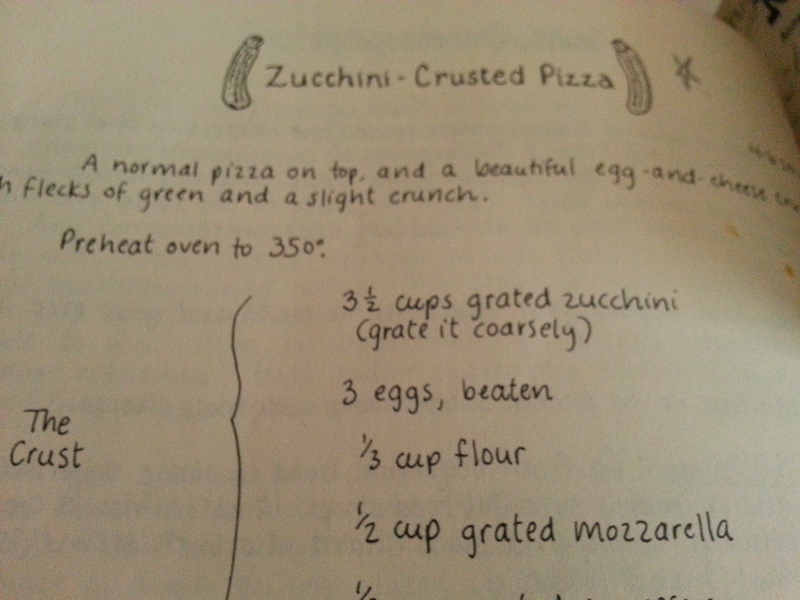 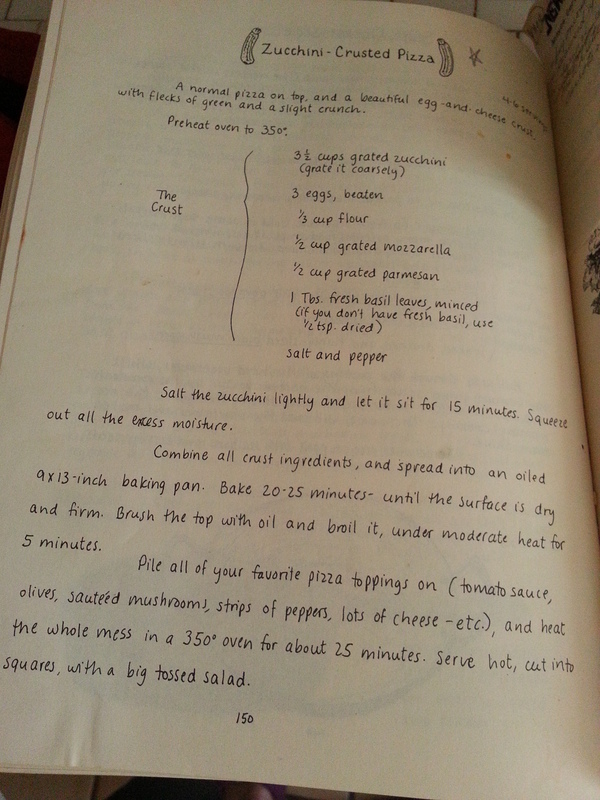 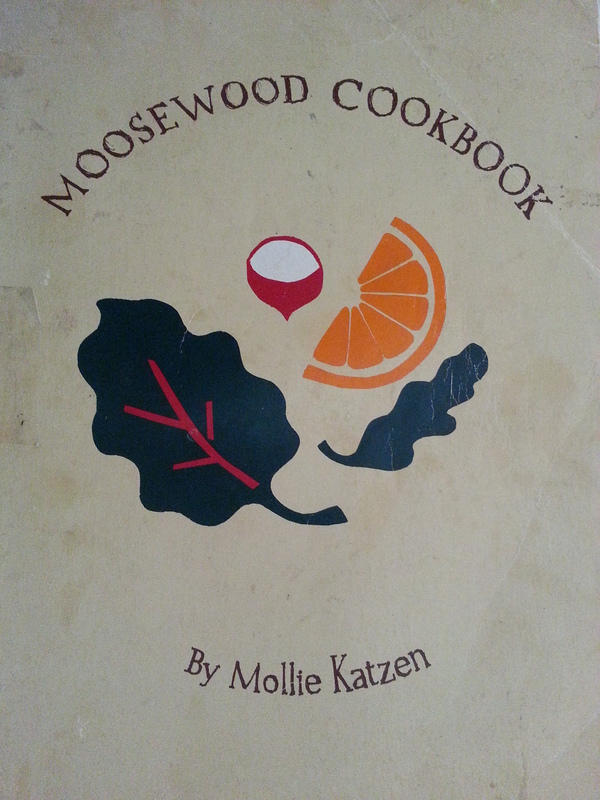 I started with the Zucchini Crusted Pizza recipe in Moosewood Cookbook and then did my own version. 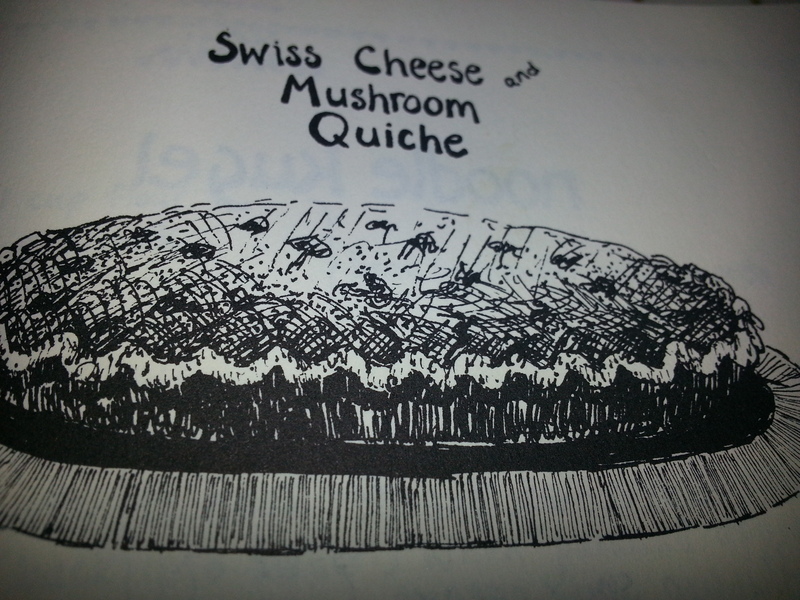 I used the crust recipe from the Zucchini recipe and then for the inside I modified the Swiss Cheese Mushroom Quiche recipe. 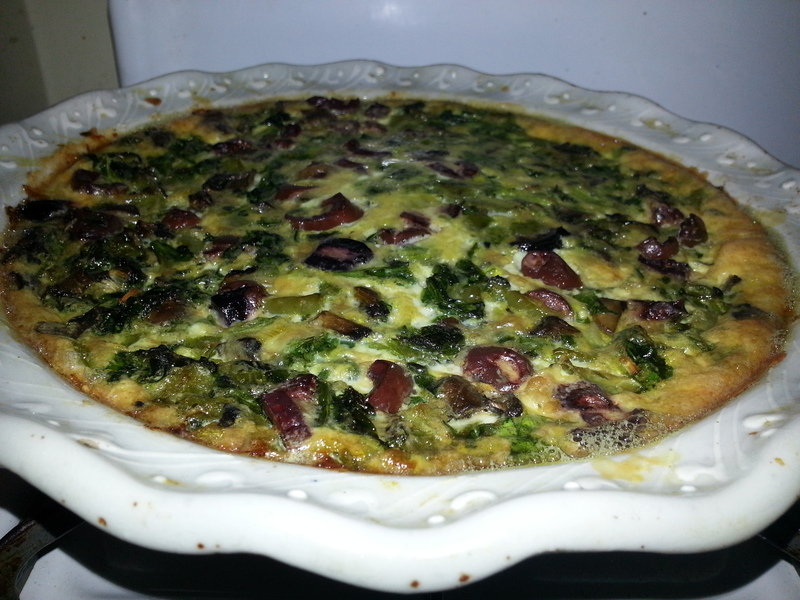 I used a mixed cheese for the Swiss and sautéed mushrooms, a scallion, green pepper and spinach and sprinkled black olives on the top before baking.